You wanted more fat loss? You got it! 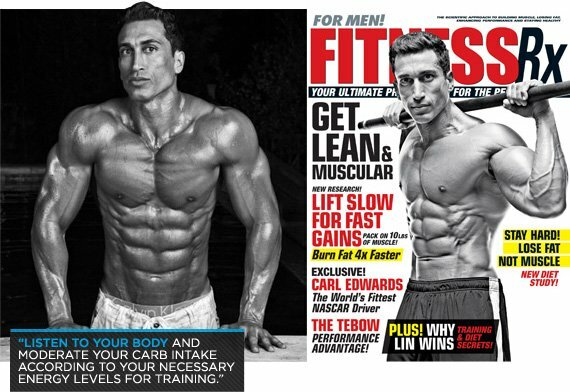 I worked my magic to bring you blubber-busting advice from three more incredibly talented—and totally shredded—fitness professionals. Get out your pen for note-taking so you can implement all of their awesome suggestions. Do you eat three meals per day for your fat loss goals, or do you consume to 4-6 small meals per day and why? Aussie Sasho Ognenovski got his start weight training at 14-years-old. He wanted to look like his idol Jean-Claude Van Damme. He has a number of natural bodybuilding titles under his belt and has the physique to continue winning. To find out more about his training, supplementation, and diet, check out his website www.sashoognenovski.com, like his Facebook page Sasho Ognenovski, or email him at ognenovski@yahoo.com.au. 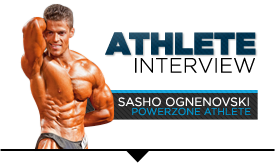 Sasho Ognenovski: I normally eat 5-6 meals each day. When I want to get ready for a competition, I actually consume 6-7 smaller meals per day. I find that by consuming that many meals, my body burns extra calories in the process of digesting the food. With every consumed meal, the body temperature rises and you burn those few extra calories throughout the day. Kim Dolan Leto: Eating six small, frequent meals per day enables me to maintain muscle mass, keep my body weight and body fat low, and sustain consistent energy throughout the day. Diego Sebastian: When I'm in fat-burning mode, I consume at least 6-7 small meals per day. There are many studies about meal frequency, and each of them says something a little different. I say do your own study to see what works you. I've tried eating three meals per day, but I've had the best results with eating smaller meals often. I can feel my body's metabolism speed up, and I absorb the nutrients much faster and really burn the fat. What's the best form of cardio for getting lean and ripped? Sasho: Personally, I do power walking for weight loss. When your body fat percentage is in the single digits, you run the risk of losing muscle with any form of high-intensity cardio. I do longer, steady-state cardio to maintain my muscle mass and to keep the risk of injuries at bay. Kim: HIIT wins every time for me. I rely on track sprinting workouts to stay lean and tight and to keep my glutes lifted. My goal is to look like a sprinter, not a marathon runner. Diego: Hands down, HIIT training is the best fat burner for me. It kicks your body into a thermogenic state, increases your body's natural production of growth hormone, and helps burn fat and calories. If you want a lower-impact version, do interval training on the spin bike or elliptical. What are your favorite fat-loss supplements? Sasho: I don't really rely much on supplements for weight loss. I just closely monitor my diet. However, I do like to have a piece of grapefruit or a cup of coffee before my morning cardio sessions. Kim: I take a multivitamin, omega-3 fatty acids, acidophilus, b-stress, and calcium. Diego Sebastian has a resume that rivals those of the best in the world. He's a fitness model, natural athlete, celebrity trainer and a stuntman. He may have started out as the skinny kid, but his back-to-basics training philosophy coupled with Arnold's Encyclopedia of Modern Bodybuilding made him a sight to behold! Get more of Diego at diegosebastianfitness.com, Facebook, or Twitter: @diego4fitness. To contact Diego, email him at Diego4Fitness@gmail.com. Diego: I take Riptek V2 from QNT. One of the ingredients is Capismax, which is a red pepper. Studies have proven that red pepper can naturally speed up your metabolism. Some other great natural fat burners I use are grapefruit, coffee, cinnamon, apple cider vinegar, oatmeal and cayenne pepper. How many times per week do you train abs? Sasho: I train abs twice per week. In the past, I trained abs every day. But I found that it's not really necessary. Good abs come with a great diet. Kim: As a fitness competitor, I've learned the value of a strong core to avoid back issues, so I do endurance training five days per week. I do bodyweight training, power pilates, yoga, gymnastics and my favorite: standing back tucks. Diego: Abs are like any other muscle you have-you have to train them hard and give them rest to develop. I train them 2-3 times per week with at least one day of rest in between sessions. How many days a week do you have to eat clean to stay lean? Sasho: When I'm not competing, I normally eat clean six days per week. I break my diet the seventh day. One day of cheating doesn't affect my physique much. When I am preparing for a competition, I stick to seven days of clean eating. Kim: I have a really hard time staying lean, so I need to eat clean all the time. I've learned to cook everything I love in a healthy way. Diego: I have two modes for eating. The first is maintenance mode. I use this mode when I'm just living life, but staying fit and healthy. I allow myself to live a little so I can have more fat, sugar, and calories than normal. During this period I have at least one cheat day. However, I always maintain balance. I never go overboard. Beast Mode happens when I am getting ready for a shoot. As a fitness model, I don't have the luxury of a lot of prep time. On average, it is about a couple weeks. So no cheats days until the day of the shoot. There are many different opinions and theories on low-calorie diets. Do you think you have to starve yourself to attain your fat loss goals at times or do you make sure to consume a moderate amount of calories per day? Sasho: A very low-calorie diet is actually counterproductive for weight loss. If you cut the calories too low, you run the risk of losing muscle which could slow down your resting metabolic rate. You shouldn't cut more than 500 calories under your maintenance level. Kim Dolan Leto is the Director of Family Health & Wellness for the International Sports Sciences Association, ISSA. Kim holds certifications as a Certified Fitness Trainer and a Specialist in Fitness Nutrition. As a writer, model and athlete, Kim has been in the fitness industry for more than a decade. Now, she combines her love of fitness with motherhood! Kim is celebrated as Oxygen Magazine's "Fittest Mom." Check out her site, www.kimdolanleto.com for more information or like her facebook fan page. Kim: I have been in fitness for 12 years, and I've learned all of this the hard way. The only thing starving yourself will do is make you skinny-fat. The fattest I've ever been was when I ate infrequent meals without any schedule. There's a reason we need to break-the-fast first thing in the morning and continue to fuel our bodies with proper nutrition for optimum function throughout the day. You can't select and trade the calories you eat for the ones you burn. What you eat has everything to do with how you look. A crème-filled doughnut has the same amount of calories as a chicken breast, small salad, and sweet potato put together. But the wholesome calories create a much different body than the sugar calories. Skipping meals will not make you lose weight. Your metabolism will just slow down, store fat, and use muscle for energy. Quick weight loss is from water and, sadly, muscle. I believe there really isn't any way of getting around the lifestyle part of being fit. Eating a consistent menu of clean nutrition will support healthy and sustainable weight loss or muscle gain. We can't out-train our cheat meals. Yes, we burn calories, but we can't trade an hour on the treadmill for one doughnut. Diego: I never starve myself or count calories! Starving yourself just makes your body store fat for energy because it doesn't know when it will get more nourishment. The key is to listen to your body and moderate your carb intake according to your necessary energy levels for training. Eating organic and incorporating whole-grain carbs into your diet will speed up your metabolism. How many calories do consume per day to get ready for a photo-shoot or fitness competition? Sasho: When I prepare for a comp or a photo-shoot, I normally stay between 2,200 and 2,700 calories. helps to get rid of those last stubborn pounds. I believe it is a healthy way of getting your body to give up fat, and it works every time. My goal is to bring the healthiest package I can to a photo shoot or competition and to truly enjoy the process and the event. Diego: Like I said, I never count my calories, but when I am getting ready for a shoot, I eat 6 or 7 (sometimes 8) small meals of quality, organic, whole-grain gluten-free meals. My metabolism goes through the roof!